How do I display a track map? Step 1: Having loaded a run, go to the results menu at the top of the screen. 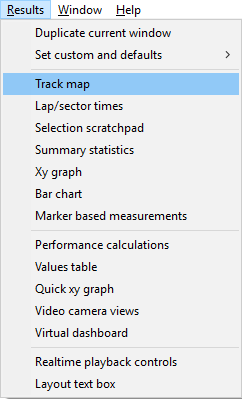 Then select the track map option. 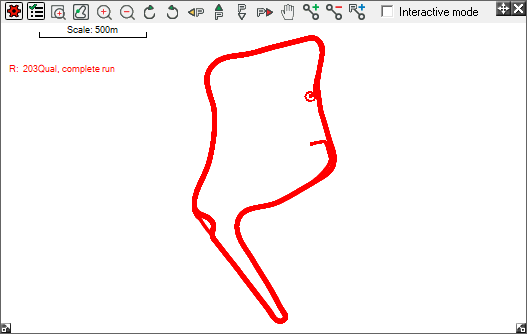 Step 2: A map of the track, created from the data, will now be brought up on screen. Step 3: The toolbar along the top of the map will allow you to adjust your view, by zooming in or out, rotating the map, or allowing you to pan across it.